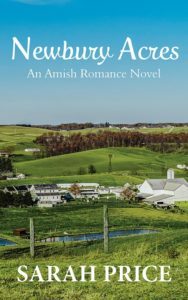 I am excited to announce that Newbury Acres is ready to preorder for your Kindle! Paperback will be available on March 21st, the day of the ebook launch. This novel is a fun and lively romance that just may take you by surprise! It’s based on Jane Austen’s romance Northanger Abbey–one of her least known classics but one of my favorites! And I bet some of you will want to learn more about the characters. You won’t want this novel to stop. Guess what? I’m ready to deliver. Just. For. You! ? Preorder now to get the low price of .99 cents. The price WILL increase but you will get the lowest price if you order it now. And trust me, if you love Amish romances, you will not want to miss the fun story of Catherine Miller. Once again, author Sarah Price provides a lively and inspirational retelling of a classic romance by Jane Austen. In Newbury Acres, a young Amish woman is invited to vacation with her neighbors at the sleepy vacation town of Banthe near Lake Moreland for several weeks. Catherine loves to read Amish romance novels and daydreams of one day living such a romance. At Banthe, she makes new friends but quickly learns that some people are not what they seem and occasionally have hidden agendas. To make matters worse, she finds herself daydreaming about Henry Tillman while thwarting the romantic advances from John Troyer. Catherine’s naiveté gets her into all sorts of trouble, especially when she continues her vacation with the Tilmans at their large farm in Newbury Acres. Will the end of her vacation translate to the end of any possible romance with Henry Tilman? Or will she finally find that storybook ending that she so longed to live? Click HERE to pre-order Newbury Acres for the special price of $0.99!